2012 proved to be a big year for The Walt Disney Company and Lucasfilms. In October of 2012, Lucasfilms became an official family member of The Walt Disney Company. The reaction from Star Wars' fans was mixed. But for Star Wars and Disney fans it only felt natural. Lucasfilms was already a strong force in the Disney parks: both Star Tours and Indiana Jones have rides and shows in both North American parks. Oh and let's not forget the epic Captain EO 3D spectacular. Young Padawans visiting the parks grew up thinking Disney already owned these well-established franchises. And for those familiar with Star Wars Weekends in Walt Disney World's Hollywood Studios, the takeover of the Star Wars empire can only mean one thing: the awesome party just got more personal. We have been fortunate enough to attend Star Wars Weekends for the past two years. We can only imagine the energy that will be in the air this year. Although our plans to attend are still up in the air, if the force is with us, we will find a way. But for now, lets take a look back. Every Mid-May to Mid-June, WDW's Hollywood Studios is turned over to Star Wars weekends (Fridays, Saturdays & Sundays only). If you are even the slightest Star Wars fan, you have to go check this out. Starting the moment you walk up to the entrance, it is evident there is a different force present. There is so much to do and see at Star Wars Weekends, we thought we would narrow it down to our top five favourite things to do. We hope you enjoy our list and may the force be with you. Darth's Mall is also home to a Star Wars character meet and greet. Be prepared to wait a long time, but the pay off is worth it. For a sneak peek at this year's Star Wars Weekends merchandise, visit Disney Parks Blog. 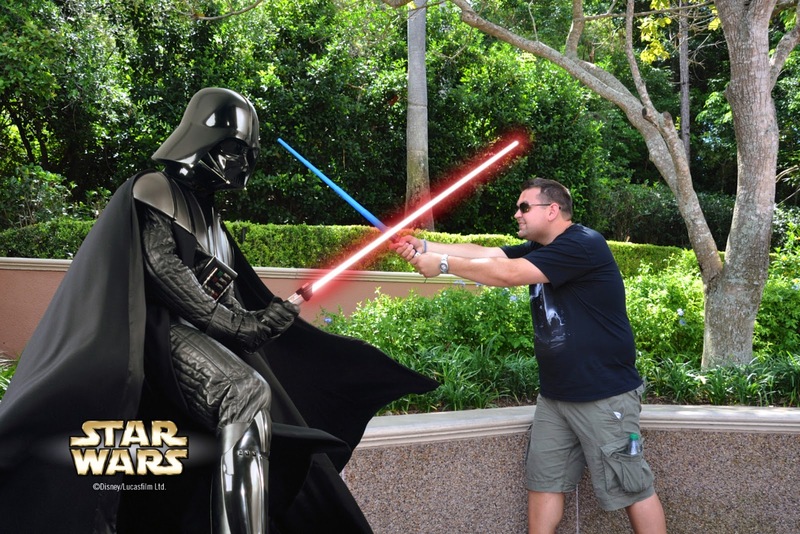 Once a day during Star Wars Weekends, guests can see all of their favourite Star Wars characters, Disney characters in Star Wars costumes and Star Wars celebrities drive down Hollywood Boulevard. You will want to arrive early if you want a good spot to view the parade. And once the parade is done, make sure you head to the main stage at the end of Hollywood Boulevard where all the Star Wars charaters and celebrities gather to welcome everyone. Silly Goofy! You forgot your lightsaber! The parade includes cosplay fans from the 501st Legion and Rebel Legion - some of their costumes are really quite amazing. The following pictures are some of the highlights from these legions. For more pictures, see our Facebook page. Keep in mind: these are Star Wars fans! There costumes are made by them - not Disney. Amazing! 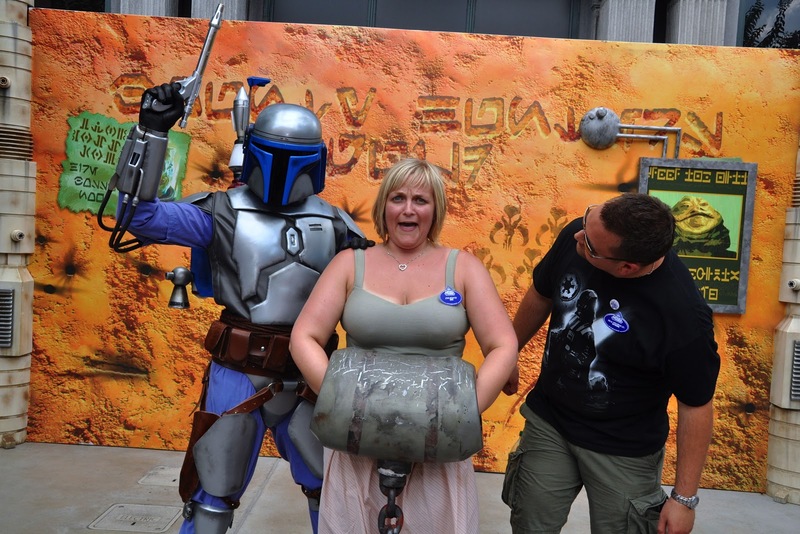 Star Wars celebrities are one of the highlights of Star Wars Weekends. The Star Wars Motorcade is a great way to see them all together without having to wait in line for an autograph. Various meet and greets areas are set up throughout Hollywood Studios for guests to meet their favourite Star Wars characters. Star Wars characters also wander throughout the park and if you ask nicely, they may stop for a picture. But whatever you do, don't comment on a Stormtrooper's height. Don't forget: there is a meet and greet area in Darth's Mall. See #5 for more details. Even the Disney characters get in the spirit and dress up as Star Wars characters. TIP: Be aware that they do rotate, so the character that is there when you get in line may not be the character you will meet. Ask a Cast Member what the rotation is and try your best to plan accordingly. We have more character pictures available on our Facebook page. There are no words that can describe the evening show at Star Wars Weekends. It is the most ridonculous, hilarious, crazy, stupid, fun show we have ever seen. Shown nightly on the stage at the end of Hollywood Boulevard, this show draws a huge crowd full of repeat offenders and others who have heard about it and want to see it with their own eyes. Your intergalactic hosts are Snig & Oopla. Trying to keep the peace between the Dark Side and the Rebel Alliance, Snig & Oopla suggest a dance-off with the Star Wars stars. Each side performs to the song of their choice featuring all of your favourite Star Wars characters. What ensues is a ton of hilarity. Here are some pictures and a couple of videos from both 2011 and 2012. 2011: You haven't lived until you have seen Chewbacca perform to "Welcome to the Jungle" by Guns and Roses! Definitely a highlight for a lot of people is the opportunity to meet a cast member from the Star Wars movies. Guests can pick up a FastPass ticket for these autograph sessions at special FastPass booths just outside the main gates. Every weekend features different Star Wars celebrities so make sure you check the Disney Parks Blog for announcements and the time guides available at the gate. The really great thing about the celebrities that are part of the Star Wars Weekends, is that they are huge Star Wars fans themselves. Ashley Eckstein is just as excited to be there as anyone else. And Ray Park is always wearing the newest Star Wars Weekend t-shirt. TIP: Ray Park (aka Darth Maul) is VERY popular. If you want to see him, you will need to get a ticket well in advance of the park opening. We have heard people picking up passes as early as 5 am! 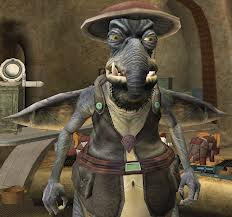 In 2012, we were fortunate enough to meet Andy Secombe; the voice of Watto from Star Wars Episodes I & II. He was very nice and took the time to have a brief chat with us. If you get an opportunity and don't mind waiting in a long line (isn't that what you do at a Disney park anyways? ), seeing Ray Park's presentation is well worth the wait, provided it is available when you go. He is a great presenter, performer and a true inspiration. Even Darth Maul couldn't help but ask for his autograph. For more pictures from our Star Wars Weekend adventures, visit our Facebook page.